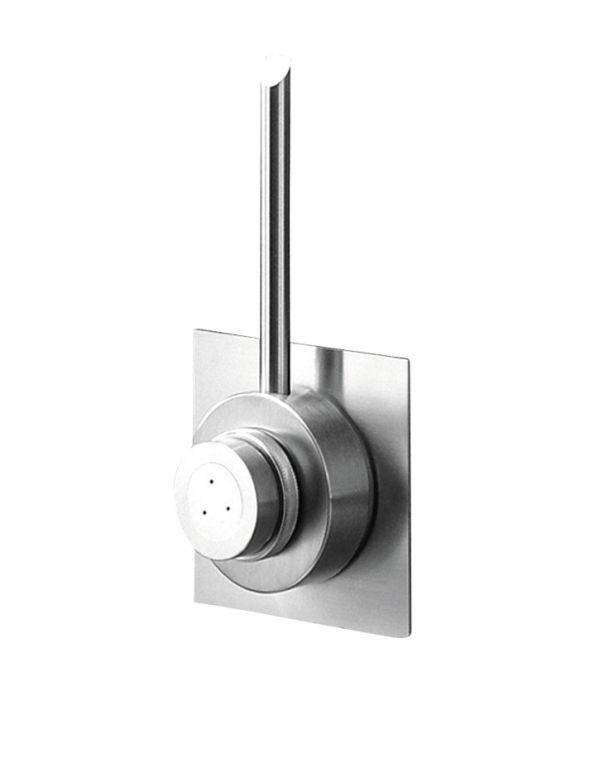 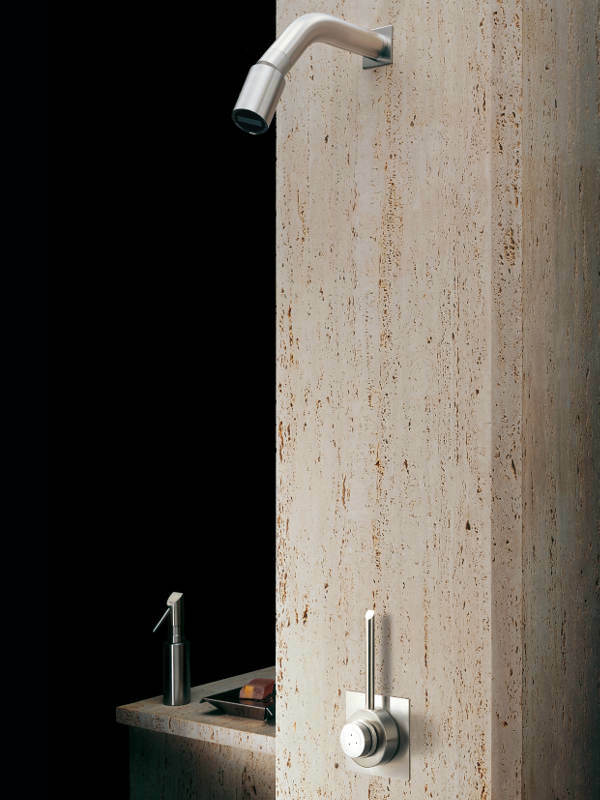 Built-in in-line thermostatic shower mixer. 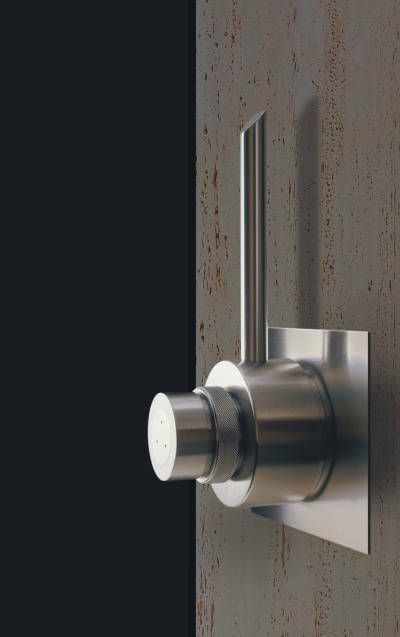 The long lever regulates water flow, while temperature is set with the knurled ring. 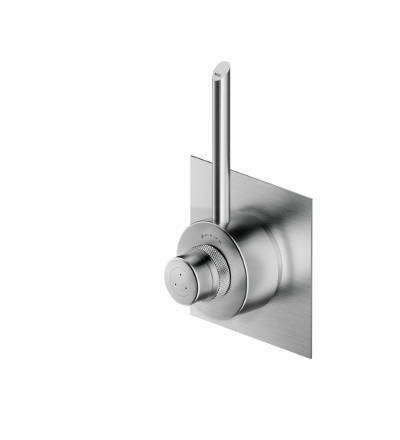 Requires the built-in valve X39.953 that must be ordered separately.